Emily Hoerner used her previous experience in the non-profit sector to contribute to IOM Ghana’s mission through the Survey of Current Issues in African Migration global program. 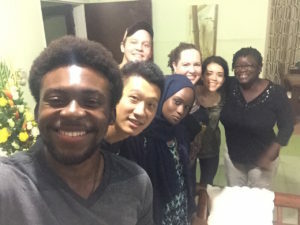 This program gives students experience doing field work for a UN agency. As a joint-degree MPA/MAIR, my first year at Maxwell has been a whirlwind. Without a doubt, the most rewarding part of my Maxwell experience so far has been the two months I spent interning with the International Organization for Migration (IOM) in Accra, Ghana this summer. I was drawn to IOM’s Ghana program because it offered me the opportunity to work on the ground with a respected international organization. I wasn’t disappointed. 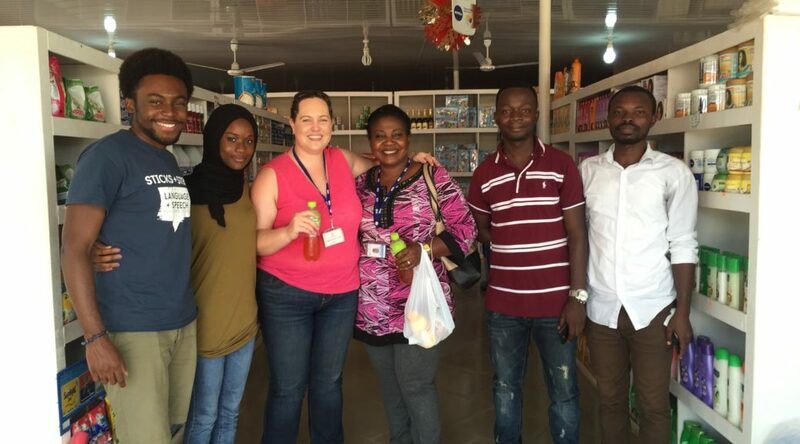 After a week of cultural and professional orientation to Ghana and IOM, I spent four weeks working with IOM’s Assisted Voluntary Return & Reintegration (AVRR) team. The AVRR program aims to help migrants who have left Ghana and wish to return, providing them with reintegration assistance like accommodation or support if they wish to start micro-businesses. My time with the AVRR team was spent primarily working on their reintegration database. 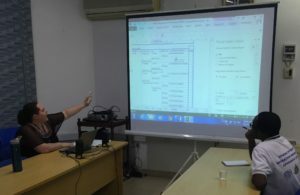 I looked at trends and best practices from other IOM missions’ AVRR databases, and suggested improvements to the system the Ghanaian AVRR team was currently using. I then worked with a member of the AVRR team to re-build their database from the ground up, in the hope that this new framework would allow them to capture, input, and report out on migration and reintegration data more effectively and efficiently. When the database was complete, I also performed some trend analysis for the team on their migration data from the past five years, creating charts and graphs from the data that the team could use for informational one-pagers about the AVRR program. 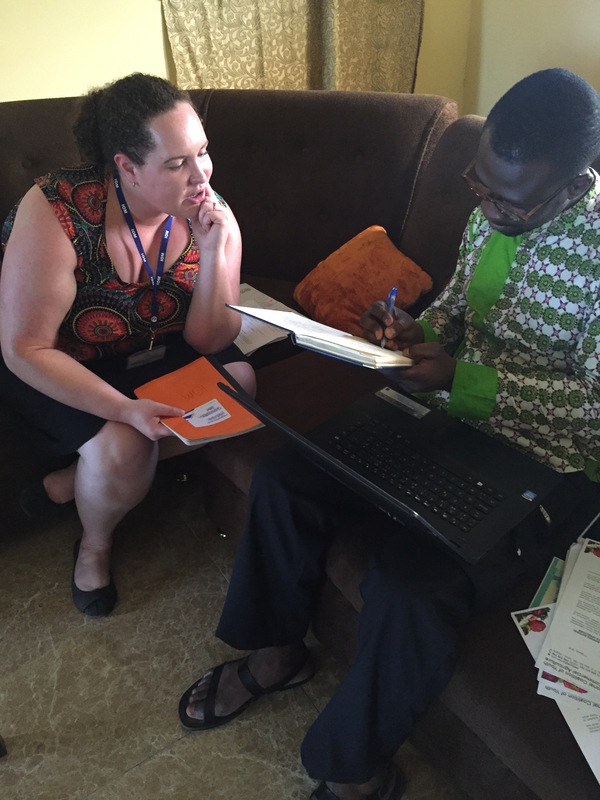 Me with Reintegration Assistant Emmanual Oppong, working on the AVRR database. The final two weeks of my internship were spent doing a bit more fieldwork: traveling in and around the greater Accra region to speak with beneficiaries of the AVRR program. This was, by far, my favorite part of the internship. Though I knew the database work I completed was important, having the opportunity to speak one-on-one with AVRR beneficiaries put a truly human face on the program. Some of the beneficiaries I spoke with were quieter or more reserved than others, but I loved having the chance to speak with these people and hear their stories of hardship, perseverance, and sometimes triumph. 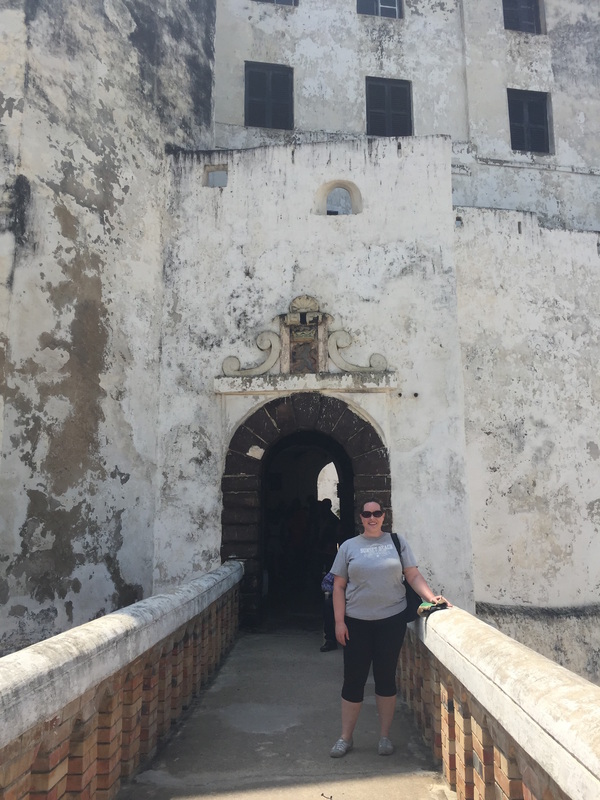 Overall, my internship with IOM Ghana’s AVRR team was a fantastic introduction into the world of international development, and what it is like to work in a country office of a complex international organization. My time with IOM was replete with frustrations, challenges, and opportunities for both personal and professional growth. Above all, my internship solidified my desire to work in the complicated, frustrating, and rewarding field of international development. 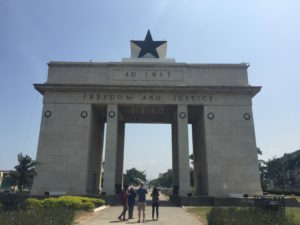 SU students (from L-R) Francis Morency, Hatou Camara, Sam Conners, and Alison Rivera at Black Star Gate, in downtown Accra. This picture was taken on a weekend when we explored landmarks around the city. Me with AVRR beneficiary Marvin Aidoo, who currently runs an agricultural NGO meant to employ Ghanaian youth. Having the chance to speak with AVRR beneficiaries like Mr. Aidoo was one of the most rewarding aspects of my internship with IOM. 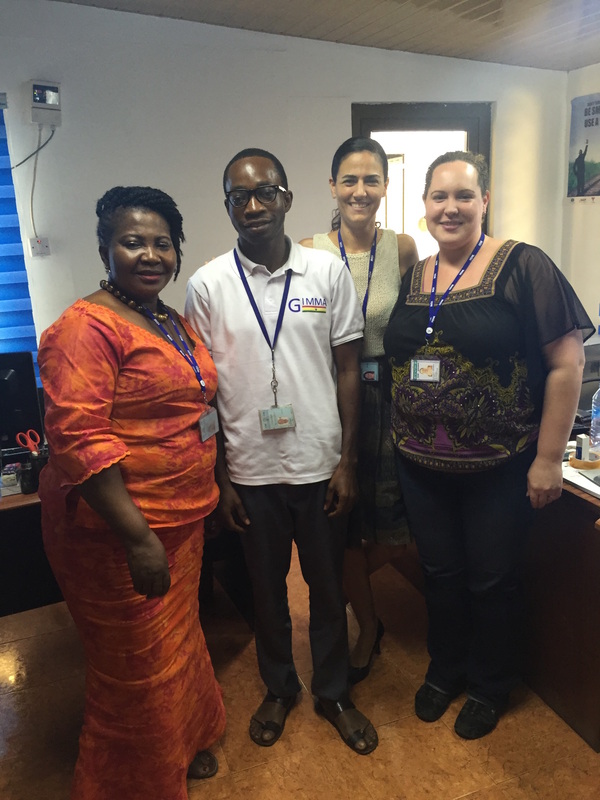 Me with IOM Ghana’s AVRR team (from left to right, Doris Ohene-Kankam, Emmanuel Oppong, and Nuria Vidal-Fernandez). SU students (from L-R) Francis Morency, Jinpu Wang, Sam Connors, Hatou Camara, Emily Hoerner, and Alison Rivera with EMPA alum Erika at her home near the University of Ghana. SU students (from L-R) Francis Morency, Hatou Camara, and Emily Hoerner with IOM Reintegration Assistant Doris Ohene-Kankam and IOM AVRR (Assisted Voluntary Return and Reintegration) beneficiary Nelson Amtwi. 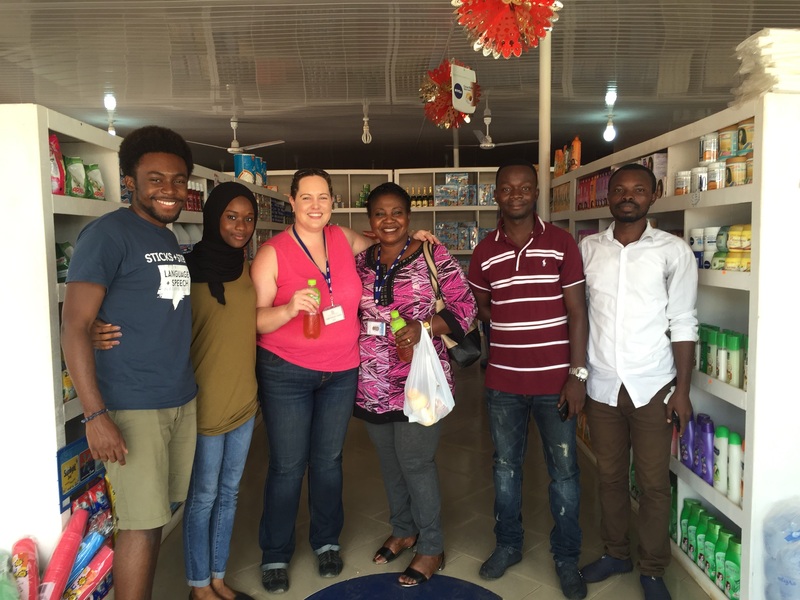 This photo was taken after an interview with Amtwi at his convenience store in Spintex, just outside Accra.